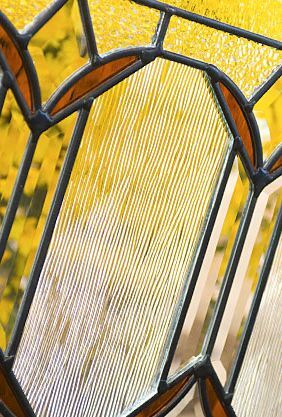 Our Sylvan Park doorglass pays homage to the Nashville, Tennessee, neighborhood of Sylvan Park, home to impeccably restored early 19th-century homes. Those homeowners, like you, value the architecture and historical significance of their homes. A classic Craftsman design, Sylvan Park incorporates a variety of glass textures and colors that warmly welcome. It offers a high level of privacy.